Following the recent acquisition of Jebron, Exidor has introduced a new range brochure covering the company's Architectural Door Control products. 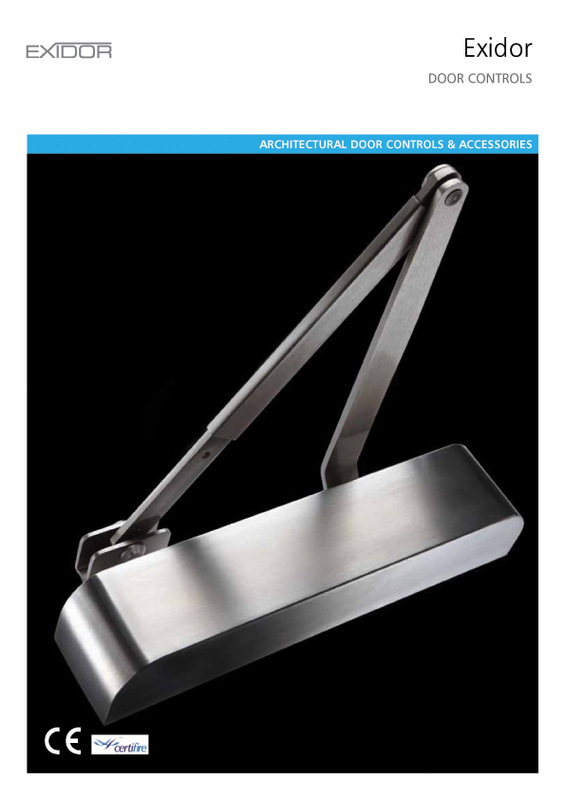 The completely new style and format of the brochure brings together the complete range of door closers, e-mags, floor springs, transom and concealed closers, and has been specifically designed to provide the architectural ironmonger, builders merchant, locksmith, security manager and specifier with clear and detailed information, including product dimensions. All Exidor door closers utilise either the unique high efficiency cam and roller, or the double cam action, making them particularly suitable for use where the Equality Act is a consideration. Universal fittings and brackets are supplied as standard with all closers enabling them to be used in fig 1, fig 61 and fig 66 applications, and the e-mag range comes with a plug in power loop for quicker, easier fitting. The page layout of the new brochure includes full product specifications together with visual illustrations of typical product applications and certification information. Also incorporated in the new brochure is the new Exidor Concealed range of closers, including the retro fit option.